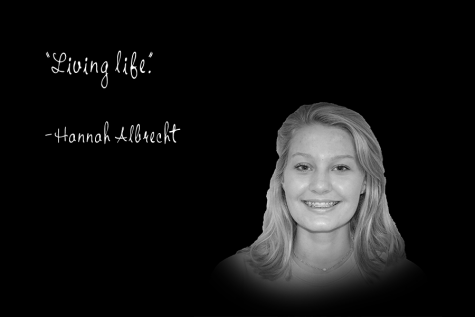 I am Hannah Albrecht, and I am a junior. I am involved in speech, cheerleading and track. I enjoy boating, taking naps and hanging out with my friends.